WE ARE NOW IN NEWPORT BEACH! WELCOME TO OLIVIERI CHIROPRACTIC, INC.
Dr. Tara Olivieri is a chiropractor serving Newport Beach and the surrounding areas. 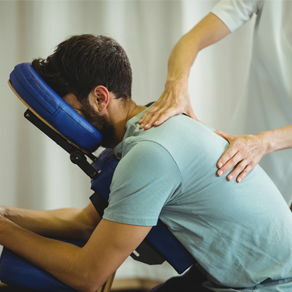 Whether you need an injury or accident treated, have a specific body problem (such as back pain or a spinal condition), need pain relief, or just want to improve your overall health, Olivieri Chiropractic, Inc. may have a solution for you through chiropractic care. You can visit our testimonials page to see how many patients have benefited from seeing the Newport Beach chiropractor and getting regular treatments. At your first visit to Olivieri Chiropractic, Inc., Dr. Tara Olivieri will explain to you how the science of chiropractic works, and give you a full evaluation to see if chiropractic care is right for you. If there is a good fit, we can develop a plan of chiropractic care that is specific to your condition and health goals. If you have not been to a chiropractor before and want to find out more, please contact us or call 949-760-5437 to receive the answers to your questions from our experienced team. We also welcome referrals, so we invite you to share our chiropractic and wellness information with your friends and loved ones. "After visiting Dr Tara for the first time in 2009 for back issues, I was very impressed with her professionalism and sincere concerns for my issues. I would highly recommend Dr. Tara to anyone I know that is having back or neck pains and can rest assured she will provide them with the highest quality of service."